The trailer for the forthcoming star-studded Jim Jarmusch zombie movie dropped Monday morning, and it looks fun. The clip gives a glimpse of Adam Driver, Bill Murray, and Chloë Sevigny as small-town cops trying to neutralize throngs of zombies, some of which are played by the likes of Iggy Pop and Tom Waits. Tilda Swinton appears as a sword-wielding mortician. 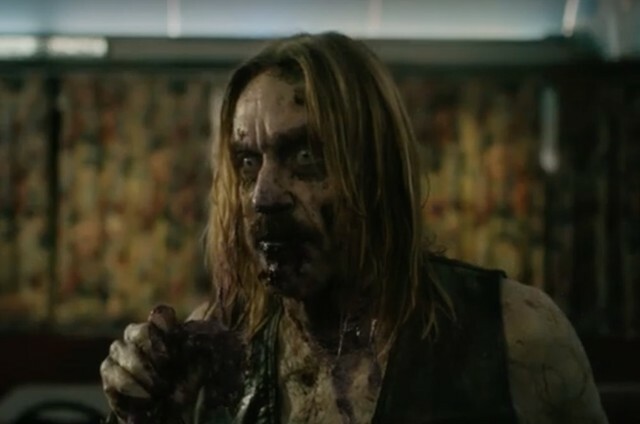 We also get brief glimpses of Selena Gomez, Steve Buscemi, a zombified Carol Kane, and Danny Glover in a film boasting “the greatest zombie cast ever disassembled.” Although the zombie genre has been done to death, it looks like Jarmusch managed to make a film that’s fresh, fun, and above all else, funny. In 2018, Murray told Philly.com that Jarmusch’s script is “so hilarious,” and the trailer seems to reflect that, especially in the moments that depict Driver and Murray’s buddy cop dynamic. Murray himself is no stranger to zombie movies having appeared in the 2009 horror comedy Zombieland. The Dead Don’t Die is Jarmusch’s first narrative film since 2016’s Paterson, which also starred Driver. Jarmusch also released the Iggy Pop documentary Gimme Danger that same year. Did Tom Waits Really Steal Jack White’s Watch?